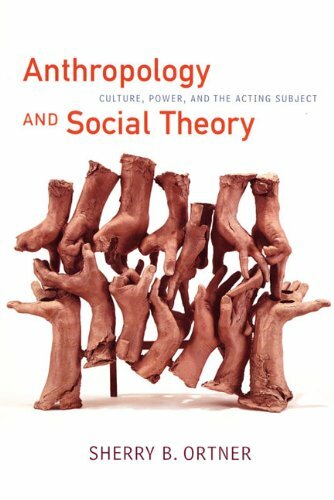 There has been much discussion in recent years about the construction of theoretical models useful in the explanation of particular areas of social organization. This volume charts that discussion and its results and covers a wide ethnographic range from the Pacific Island of Truk through African pastoral societies, south-east Asia and Hong Kong, back to Polynesia. "A thoroughgoing introduction for the intelligent reader—written in a highly accessible style, with plenty of excellent examples and clear, sound argumentation. 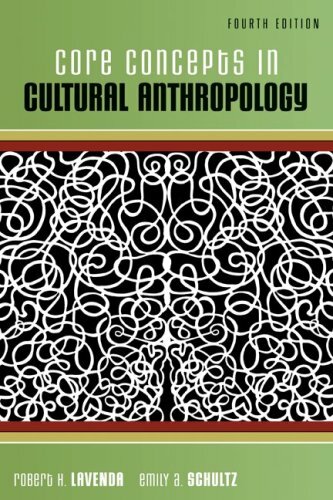 Hendry has done an outstanding job of laying out her vision of the important theoretical positions in cultural and social anthropology, while also telling us about their weaknesses. Her book is not merely a copy of earlier efforts of a similar sort but represents some careful, productive, and highly intelligent rethinking of the priorities." 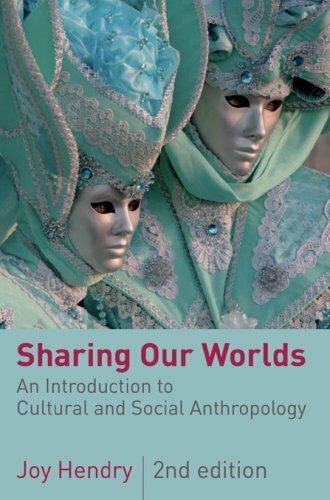 Sharing Our Worlds offers the perfect introduction to cultural and social anthropology for anyone approaching the subject for the first time. Hendry introduces classic theoretical ideas of the key founders of cultural and social anthropology, placing them in their historical and geographical context. Carefully structured so that one chapter builds on the next, Sharing Our Worlds covers the core topics in an even-handed and illuminating manner, introducing the reader to divergent views on all the most basic subjects-food, hygiene, gift-exchange, rites of passage, symbolism, religion, politics, and the environment-and raising awareness of the emotional value people place on those views. Covering a wide array of countries, it brings the subject of cultural and social anthropology right into the neighborhood of the reader, wherever they are in the world. Written in a refreshingly accessible style, Sharing Our Worlds offers a compelling introduction to an enigmatic and exciting subject, drawing out its relevance and value for the complex multicultural world in which we live. 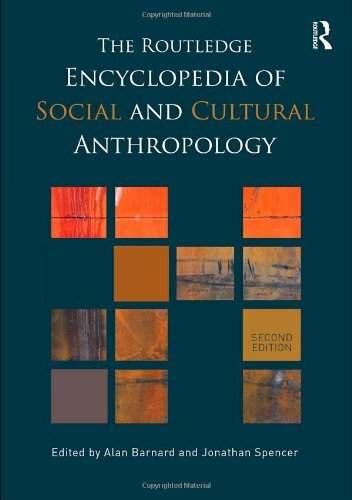 This new edition of the highly-acclaimed Encyclopedia of Social and Cultural Anthropology provides a unique guide to the ideas, arguments and history of the discipline. 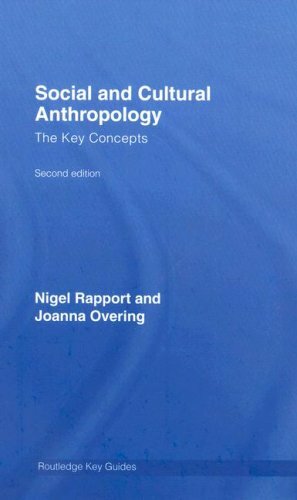 Combining anthropological theory and ethnography, it includes 275 substantial entries, over 300 short biographies of important figures in anthropology, and nearly 600 glossary items. The new entries reflects the move into the centre of traditional subdisciplines like medical anthropology; recent work around issues of gender and sexuality; and anthropology’s new ethnographic engagement with central institutions of the modern world including finance and science. Anthropology is now a global discipline, so the second edition celebrates other traditions of anthropological work (Japanese anthropology, Latin American anthropology) as well as the complex processes of globalization itself. 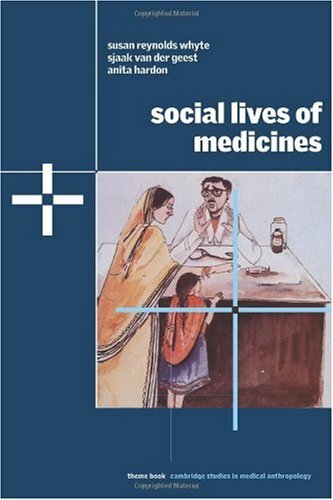 Authoritative entries have been commissioned from among the world’s leading anthropologists. Alphabetically organized, the main entries contain clear, concise and provocative explanations of key anthropological themes and ideas, as well as surveys of the most important ethnographic regions and regional traditions of ethnographic research. Each major entry contains cross-references and a list further reading. The Kindle edition of this encyclopedia does not have live links between the table of contents and the entries in the main text.Consequently it is impossible to look for an entry on a particular subject, which makes it rather useless as an encyclopedia.The publishers should figure out how to format digital content before trying to sell it. I am studying anthropological courses in the university and bought the encyclopedia to help and guide me through the new terms I encountered. For these purposes I found this book extremely unhelpful. This is definitely not a book for students, those who start studying anthropology, but rather for those who already know a lot about the science. "Essentialism commonly appears as both a violation of anthropological relativism and one of the besetting conceptual sins of anthropology. Exemplified by such totalizing ideologies as nationalims and biological determinism, it is also frequently conflated with reification, objectivism and literalism". Etc. For me in order to understand this definition, I need to read 3-4 page articles in the same encyclopedia about: relativism, biological determinism, objectivism, literalism. And even after that I don't think I will be able to understand what the authors wanted to say by this definition. And its the same almost about every other term or concept I was looking up. Of course, if you are familiar with all these terms - it is easy, but then do you really need this encyclopedia. A frustrating experience for me. 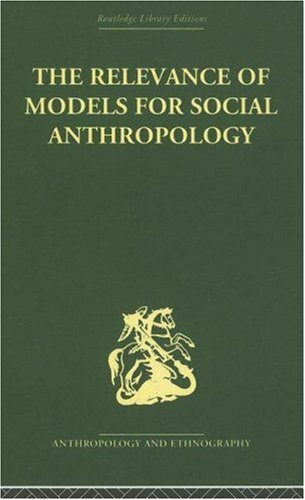 This publication is collecting dust on a shelf now, and I turned to more popular publications, like "What is anthropology" (terms are explained in a much more accessible language), "Understanding social and cultural anthropology", etc. And... never underestimate wikipedia, the best for me as a student. 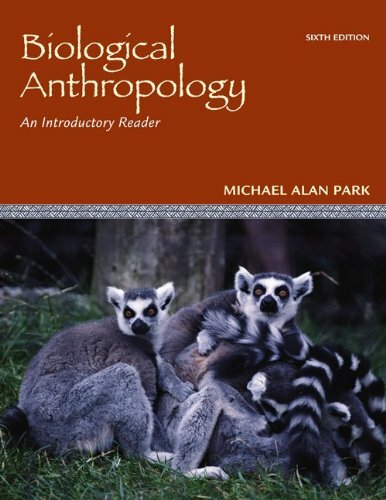 Would strongly not recommmend this book for students and whoever is starting to learn anthropology. Will advise it to my anthropology university professor with 20 years teaching experience, he may find it interesting. 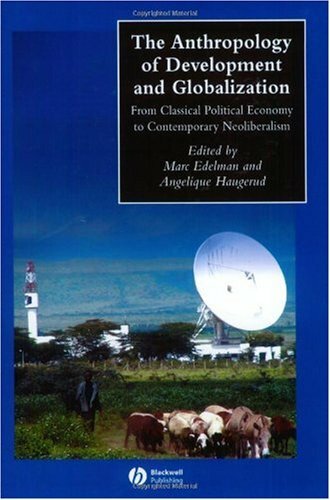 The Anthropology of Development and Globalization is a collection of readings that provides an unprecedented overview of this field that ranges from the field’s classical origins to today’s debates about the “magic” of the free market. This Reader offers a remarkable overview of the field of law and anthropology: its development, present, and potential future courses. 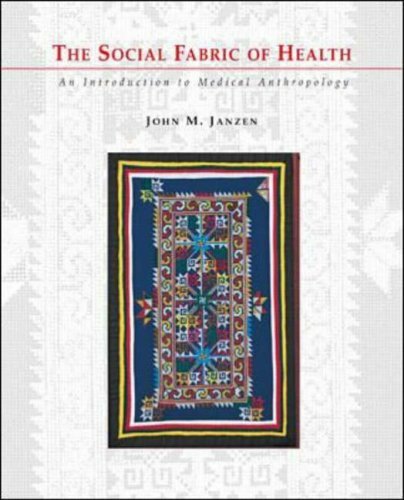 Edited by a preeminent anthropologist, lawyer, and pioneer in the study of law & anthropology. 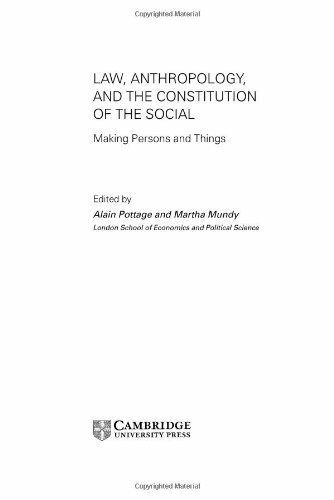 Brings together classics of political thought and key contemporary work from social scientists and lawyers. Explores historical issues and more contemporary ones such as illegal migration, human rights, gender discrimination, political corruption, and reparations for injustices committed by previous regimes. 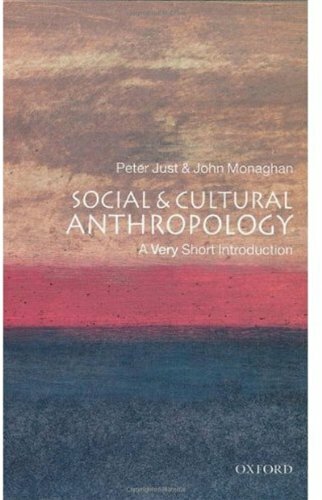 With full cross-referencing and revised further reading highlighting the latest writings in Social and Cultural Anthropology, this is the ideal resource for anyone studying or teaching this subject. 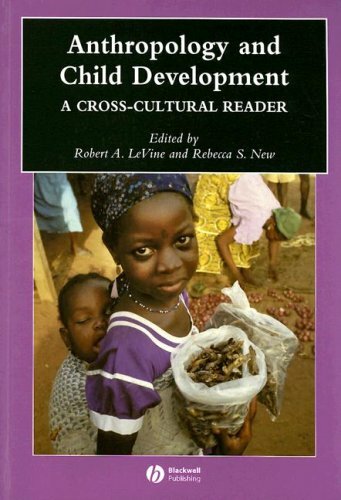 This unprecedented collection of articles is an introduction to the study of cultural variations in childhood across the world and to the theoretical frameworks for investigating and interpreting them. "A thoroughgoing introduction for the intelligent reader-written in a highly accessible style, with plenty of excellent examples and clear, sound argumentation. 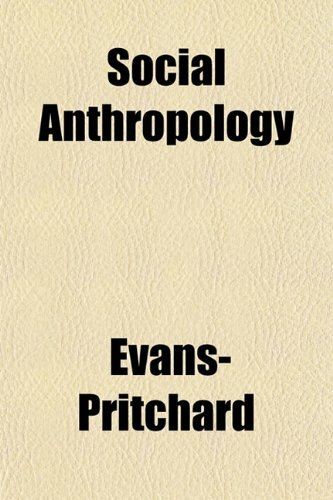 Hendry has done an outstanding job of laying out her vision of the important theoretical positions in cultural and social anthropology, while also telling us about their weaknesses. Her book is not merely a copy of earlier efforts of a similar sort but represents some careful, productive, and highly intelligent rethinking of the priorities." 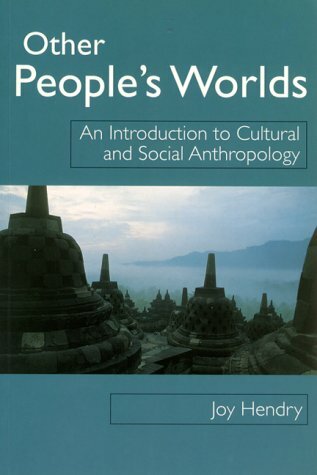 Other People's Worlds offers the perfect introduction to cultural and social anthropology for anyone approaching the subject for the first time. Hendry introduces classic theoretical ideas of the key founders of cultural and social anthropology, placing them in their historical and geographical context. Carefully structured so that one chapter builds on the next, Other People's Worlds covers the core topics in an even-handed and illuminating manner, introducing the reader to divergent views on all the most basic subjects-food, hygiene, gift-exchange, rites of passage, symbolism, religion, politics, and the environment-and raising awareness of the emotional value people place on those views. Covering a wide array of countries, it brings the subject of cultural and social anthropology right into the neighborhood of the reader, wherever they are in the world. Combining an abundance of references and further readings for the serious student with an immensely readable and engaging writing style, Other People's Worlds offers a compelling introduction to an enigmatic and exciting subject, drawing out its relevance and value for the complex multicultural world in which we live. 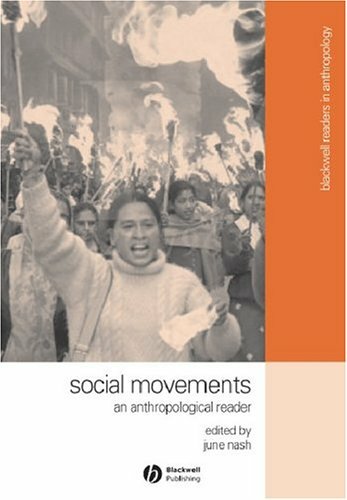 Social Movements: An Anthropological Reader expands on standard studies of social movements by offering a collection of writings that is exclusively anthropological in nature and global in its focus-thereby serving as an invaluable tool for instructors and students alike. 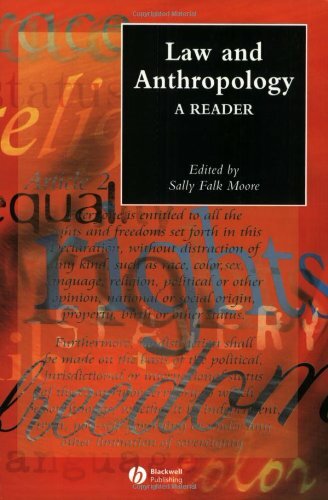 Linguistic Anthropology: A Reader is a comprehensive collection of the best work that has been published in this exciting and growing area of anthropology, and is organized to provide a guide to key issues in the study of language as a cultural resource and speaking as a cultural practice. 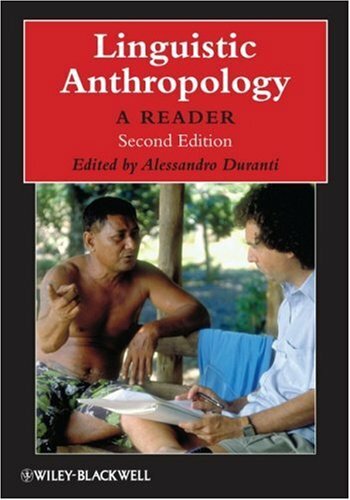 I just finished reading Alesandro Duranti's 1997 book for my linguistic anthropology core class. I wanted to take the opportunity here to comment on this book. A. Duranti goes through all of the major theoretical underpinnings and morphological manifestations that the discipline has endured since its inception from the likes of Boas and Sapir in the early 20th century. It has changed and gone through many necessary changes during its lifetime. In order to truly place our finger on the intentions of the "other," we must strive to open a dialogue with the "other" through the practice of speaking, analysis of discourse, and make assumptions based on interpretations to better understand the cultural baggage each one of us carries. This is healthy and natural, and summarizes what it means to be human. Linguistic anthropology taps into human psychology, and the social enterprise in many ways that I have never been able to imagine. A. Duranti eloquently explains linguistic anthropology's rightful place as a science and a discipline worthy of perpetuation in posterity. I sincerely hope others read it in order to assist in this perpetuation of what it means to be human through the practice of speaking. The book is much smaller that I was expecting.It came with some markings and a curled cover, but the material is great. The delivery of the book was timely, it arrived in very good condition.I am very pleased with the transaction. This is considered my textbook for my Anthropology Class and I have to read it. Even though I'm pretty much required to read it, I don't find much of a problem with that. It's a pretty easy read. The structure is good. 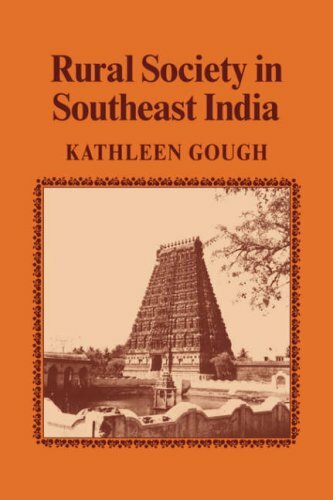 The authors of this book emphasize that it should be used in conjunction with collections of ethnographies and other volumes. 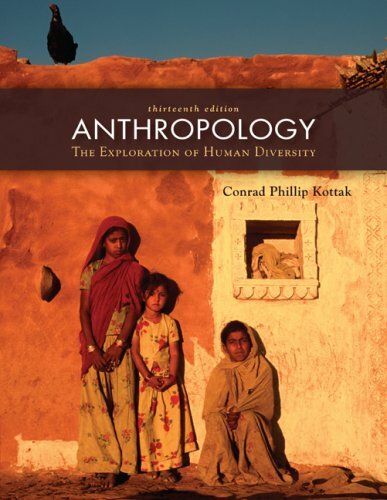 With that in mind, this is an exceptionally clear, useful, and well-considered book about cultural anthropology. The authors have done an outstanding job of making complex theories and ideas accessible in a short amount of space.